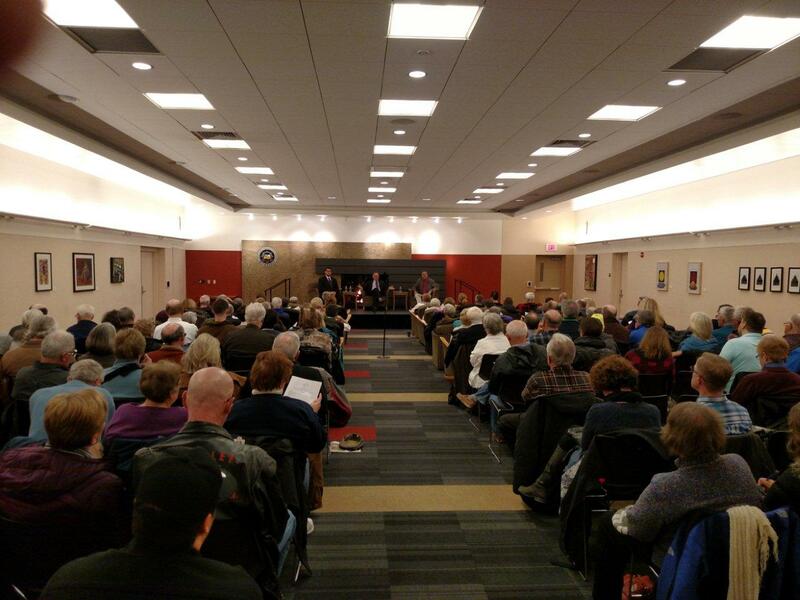 RENEW's Michael Vickerman joined Alex Bozmoski of RepublicEn, a right-leaning think tank housed in George Mason University, and WUWM reporter Susan Bence in a lively exchange on the prospects for expanding clean energy and confronting climate change in the new Trump administration. Bence’s article, titled “Two Takes on Tackling Climate Change,” is now online, along with the interview that aired last week. The radio show, taped on February 23rd, was one of three conversations that day organized by Douglas Savage of the UW-Milwaukee Institute of World Affairs. Savage directs the Institute’s Fireside Forum series, which this year is titled “Wisconsin and the World in the Trump Era.” Savage invited Vickerman and Bozmoski to continue the conversation in a WMTV-Channel 36 interview (air date TBD) and in an evening in-person forum at the UWM Student Union, which drew more than 100 attendees. A good part of all three discussions revolved around the efficacy of and prospects for a federal carbon fee and dividend, a policy proposal supported by RepublicEn as an alternative to the Clean Energy Plan, the Obama Administration’s signature climate change policy initiative. Bozmoski details this policy in an Op-Ed he wrote for the Milwaukee Journal Sentinel. Vickerman pointed out that the economic case for clean energy has become very compelling in recent years, and will continue to become more mainstream regardless of how the Clean Power Plan or a carbon tax fares under a Trump administration.